This batch of four greeting cards was the first that I made when I began working with RSVP/Sellers Publishing. I absolutely love working with their team, and what makes me feel even better about working with them is that all their greeting cards are printed at a 100% wind powered facility in Maine. 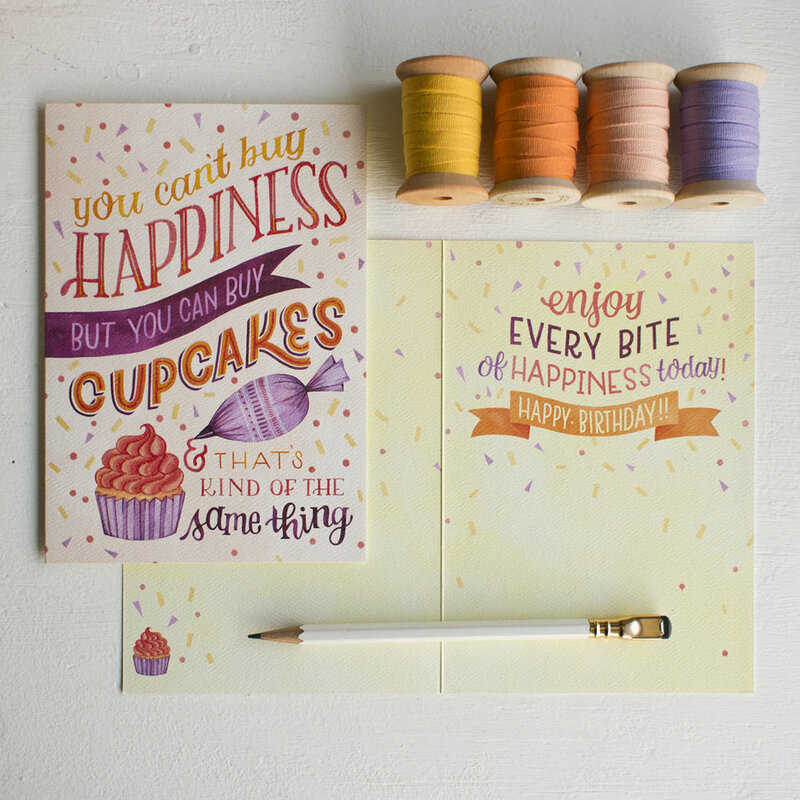 The "Friendship is No Small Thing" and "You Never Know How Strong You Are" greeting cards are gloss debossed, while the "You Can't Buy Happiness But You Can Buy Cupcakes" and "Best Day Ever" cards are embellished with high density glitter spot treatment. I love these little details that make these high quality cards so special.